The Cleveland Archives at Marton Road have a comprehensive set of projected plans for Dormanstown if anyone wants a browse. They were drawn up by a team of young (and later famous) planners and architects, Patrick Abercombie, Stanley Ramsay and Stanley Adshead (all now have roads named after them on the estate). 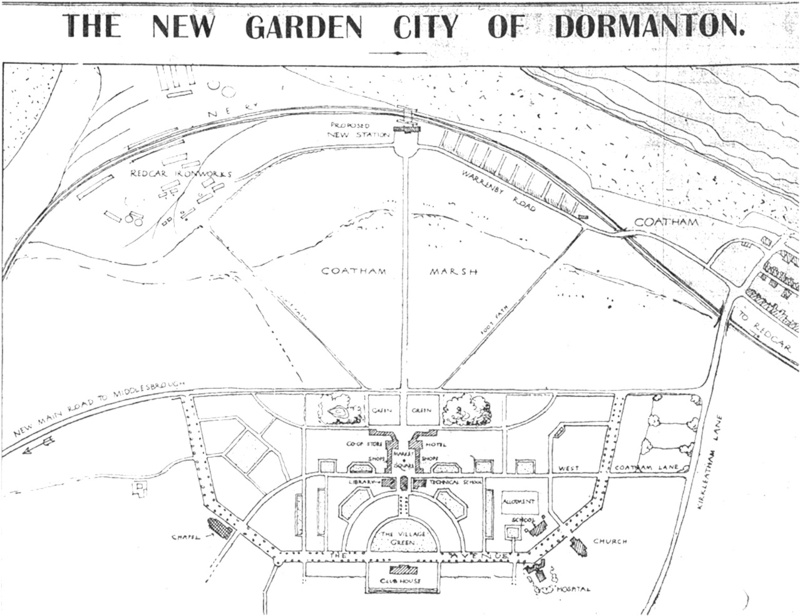 The new estate was a creation of Dorman Long, the Ministry of Munitions (this was at the end of WW1) and, later, the Ministry of Public Buildings and Works. One idea that caught my eye, but which never came to anything was to link the estate by a high speed tramway service with the various DL works, utilising a dedicated tram line along the middle of the projected Trunk Road. The first plan was scrapped although some parts used on later plans the second plan shows the original plan with 1930s proposal i.e. club house shops dormans crescent ,Broadway, Wilton ave and the schools on south avenue. The railway lines you can see belonged to the brickyard the kilns where in the large black building and the clay pits near by,the large building later became Robert Guy’s coach garage and Weller’s joiners shed. Lots at the Teesside Archive. 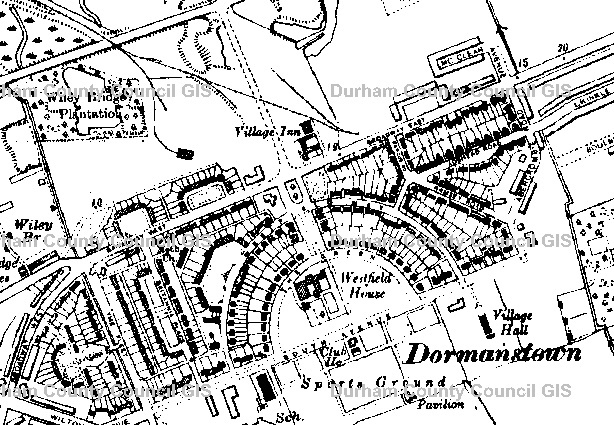 Plan (on paper) of the proposed housing scheme at Coatham (later named Dormanstown). Original plan (paper) drawn by Adshead & Ramsey and Abercrombie, Architects, Liverpool and London. The plan details the proposed building of 100 further properties as outlined by ‘Scheme D’ of the Dormanstown project. The plan carries a legend with details of the type of houses to built and the widths of roads.